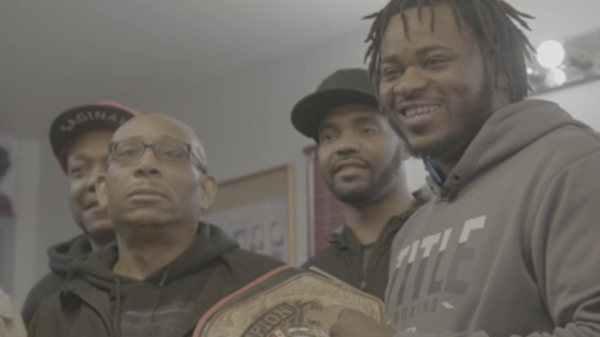 SHOWTIME Sports delivers a day in the life of top American heavyweight prospect Jermaine Franklin as he prepares for his national television debut against former No.1-ranked U.S. amateur Rydell Booker in the 10-round co-featured bout of SHOWTIME BOXING: SPECIAL EDITION this Saturday, April 13 (9:10 p.m. ET/PT) from Boardwalk Hall in Atlantic City. Franklin hopes to show that he’s primed to become the next American heavyweight champion, and is ready to take the mantle from current WBC titlist Deontay Wilder and the long line of American heavyweight champions that came before him. In the midst of training camp in preparation for his SHOWTIME debut, the 25-year-old relies on his family, faith and community support in his hometown of Saginaw, Mich. The SHOWTIME BOXING: SPECIAL EDITION will pit undefeated middleweight world champions Claressa Shields and Christina Hammer against each other in a battle to crown the undisputed 160-pound world champion, in what is arguably the most significant women’s boxing event in history. In the telecast opener, heavyweights Otto Wallin and Nick Kisner will battle in a 10-round clash.